Whenever you will add a new product to your BigCommerce store with new Product Type then, in that case, it is necessary to map the Product Type to the category with the Sears Category. Why is Category Mapping Done? 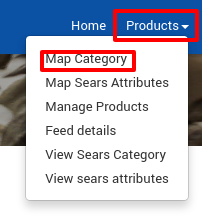 Category Mapping is the process of mapping your BigCommerce Product Type with the Sears Category in which you want to list down your products on sears.com. 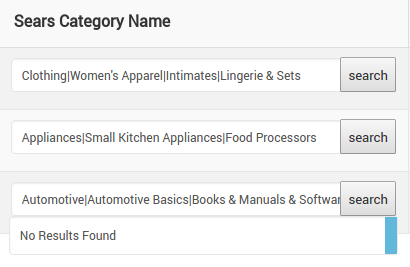 The Category with which you will map your products type your product will be listed under that category. For example, If you are selling Clothing type Products then you will select “Clothing Category” as Sears category which is best for your products. As soon as you click on “Map Category” the following page will get displayed. 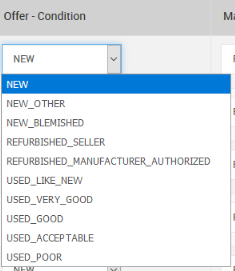 Select the Category Under Sears Category Name. Then comes the Column for “Mature Content”. A message will be displayed stating “Sears Categories are mapped successfully with Product Type”.